Do you ever sit down to do something, and just come up blank? Pretty sure that’s how I’m feeling today. Not sure if it’s because I missed my coffee this morning, my pounding right side headache that made a reappearance, or what, but I’m just feeling off my game today. I sat down to write, and I got nothing. It’s like radio silence in my head. As much as I love blogging, it can really create a never-ending to do list. Between local events, product review pitches, and emails, sometimes I feel like I can’t catch a break. I think what I’ve determined is I have to create my own break – it probably won’t ever come naturally. And while I sometimes think of taking one, I can’t imagine not doing this daily. Don’t you love when I don’t have a topic so you can read my ramblings? Anyways, today’s outfits features one of my favorite t-shirts, and a couple of new favorites. 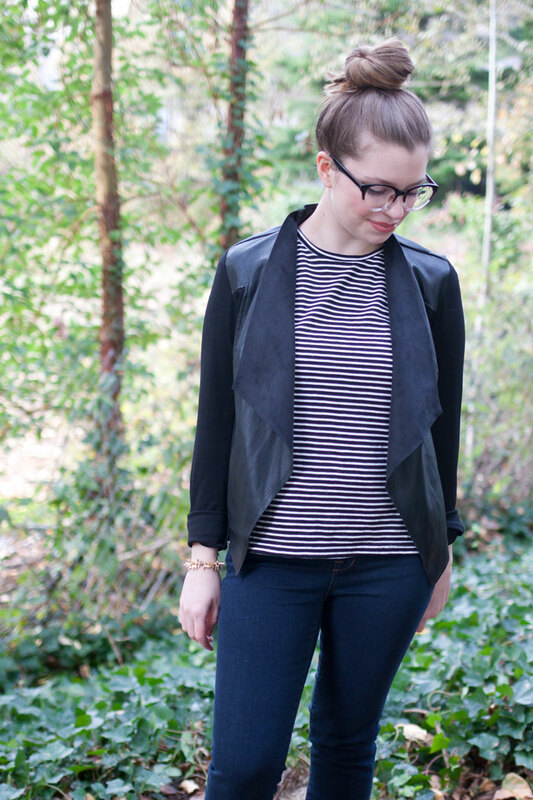 The first new favorite is this jacket, but I’m calling it a blazer because it’s far too light to wear as a jacket now. I got this during the Nordstrom clearance sale and I want to wear it with everything. I also picked up these new Firmoo glasses. They offered me a free pair to try out, and I’m really loving these, despite these frames being totally outside of my comfort zone! I think they’re fun, a little retro, and the quality for the price is on point. They’ve got a whole bunch of free frames here to shop, but they also sent me a bonus code for the month of November for free frames that I’d like to pass onto one of you! Enter the Rafflecopster below, but act quick – this ends in just a few days so you can have time to pick the perfect frames from this list before the code expires at the end of the month! Hahaha! I totally see the resemblance! I might mistake you for MT if I ever bump into you in the future! I totally see it too!! Adorable glasses! I love this look, the glasses and jacket especially. 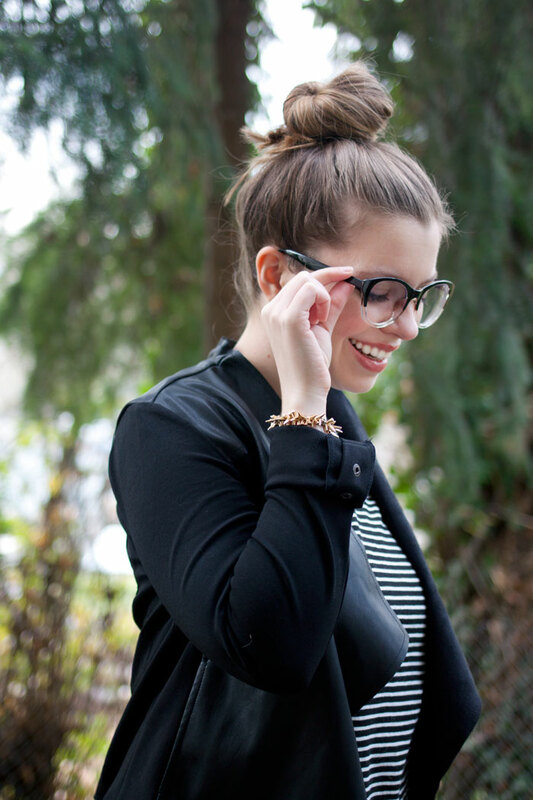 As a glasses wearer I’m obsessed with finding great frames, and I love these ones! 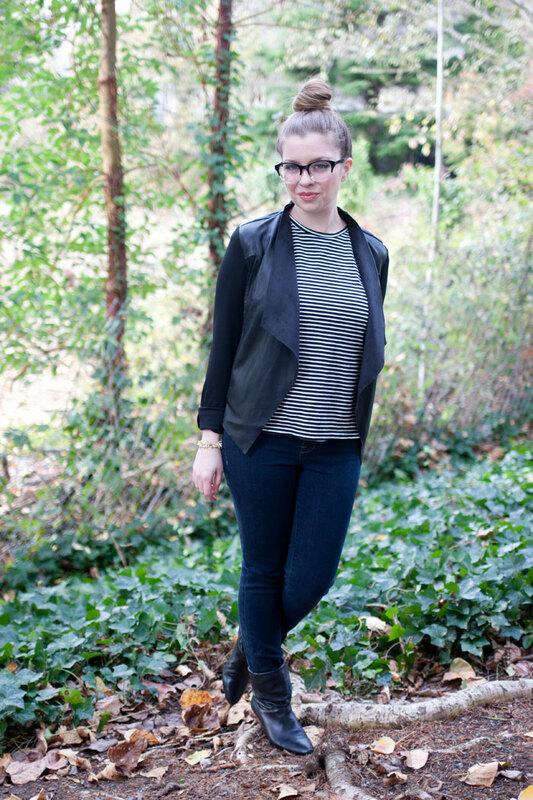 Also, love the “blazer” – this look is very much my style! I love glasses, I have a lot of pairs so I am always on the look out for cool frames. Those are adorable! Those are super cute, good luck, Breenah! Aw, thanks so much Heather! Thanks Callie, and good luck! I love the outfit and I have to say that the glasses you chose look really good on you. I would get some prescription sunglasses! I’ve switched to wearing glasses almost exclusively (minus workouts), so some sunglasses would be awesome. you look so great and love the new glasses. i just ordered a pair from firmoo for myself too! Your rambling is awesome. :) I like the “blazer” and glasses. Super cute! Sometimes you just have to give yourself a break to recharge and then when you come back ideas flow more easily. At least it works that way for me. I would get the #F040 – Tortoise, I think. oooo any of the wayfarer frames look really intriguing! I just ordered these same exact glasses! Love this post! Which pair are you wearing?